Socialists would never create an army of useful idiots to unwittingly help them commit genocide. And later they would never attempt to rewrite the affiliation of the people who did it. That is just conspiracy theory. I love that Orwell quote. Also when George Orwell wrote “Animal Farm” he chose the windmill to represent the boondoggles that oppressive governments promote in order to create an appearance of progress. To this day lay socialists swear the nazis “aren’t really” socialist, and religious conservatives swear the nazis “aren’t really” christian. Yet both sides of the mixed-economy swath view freedom as something divisible. Totalitarians do not see freedom as divisible and work toward another Enabling Act Anschluss uniting the coercive “left” and the coercive “right” into their square of the Nolan chart. Libertarians urge the left&right to stop trying to divide freedom and shun coercion instead. How was a Christ a Nazi Hank? I find it amazing the way it is now a mainstream belief that Germany’s National Socialists( the name alone should tell you something) were right wingers. 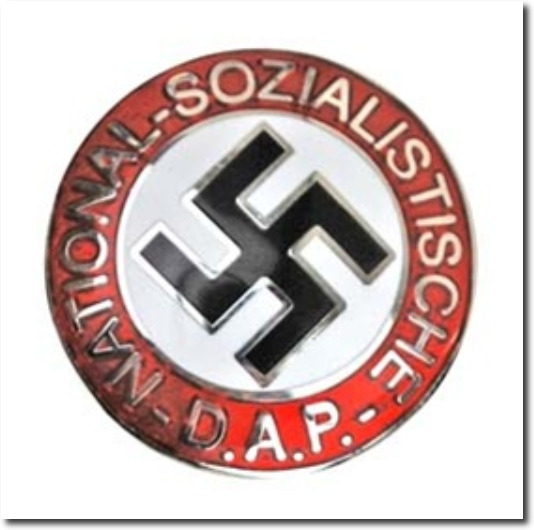 Similarly Italy’s Fascists were socialists. Mussolini was a leading socialist but broke away to form the Fascist party. His claim was that the Fascist party would work with business corporations so distancing himself from the Socialist party he had been a leader of. The pledge to work with corporations was due to all bad news coming from Russia after the Bolsheviks seized power and confiscated all businesses. Of course after he came to power all corporations were soon brought to heel. Modern day Antifa don’t have the brains to realize it but they are just modern day Blackshirts. Actually they’re the Brown Shirts. The first, which when and if they become to powerful, will be eliminated by the Black Shirts. he just turned from international cultureless socialism to national cultural socialism. =this is 100% what happened in all communist/socialist countries. But the neomarxist who controle media succefully convinced people that they are completely different which is not the case. the international ones use the hate(this is the only thing that unites them)towards the class enemy(devil) and the utopia(paradise) to unite them. They even have a hell(AGW) and Satan(Hitler=you are like him if you are not like us) that unites them and makes them feel morally and intellectually superior. If you control the money, you control the language. He who controls the future controls the money. The modern money changers in the temple.